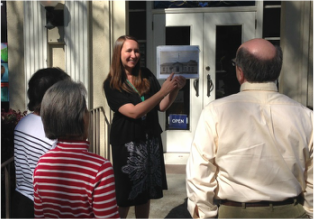 Explore Museum on Main or historic downtown Pleasanton by taking a guided tour. Museum on Main offers a variety of tours suited to various areas of interest and knowledge. Guided public tours are available by advance reservation. A minimum of 5 people (or $50) is required to schedule a tour. Upon request, all of the tours listed below can be modified to the needs of your group. Tour durations vary and last between 1 to 2 hours. Please dress accordingly for walking tours. We will make every effort to reschedule your tour in case of inclement weather. * Note: For groups with mobility concerns we recommend using your bus for tours around town. A Museum guide will join you on your bus to lead the tour. Or see "Museum on Wheels" presentations on this page. To schedule a Guided Group Tour, please complete the form below, email education@museumonmain.org, or phone the museum at 925-462-2766. ​ Note: This tour costs $25 per person with a minimum of 10 people or ($250). Children, students, and teachers cost $15. Open your door to history! Museum on Wheels is an opportunity for your group to learn more about the varied and diverse history of the area. Invite the Museum to visit you for an interactive educational program led by a museum representative. Museum on Wheels presentations often include projection of historic photographs from the region. The museum can bring a projector to your site if you do not have one. • Roots of Pleasanton: A review of the history of Pleasanton, from Native American presence through modern day. • Alcohol in Pleasanton- A long and storied past: Ride through history in this entertaining look at role and impact bars and alcohol had in Pleasanton through the years. • Remember When… Pleasanton in the 30s, 40s, 50, and 60s: A look at Pleasanton as a reflection of the nation from the 30s through the 60s. 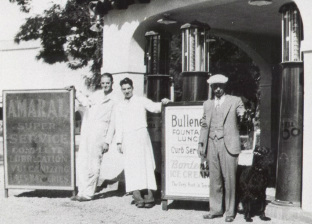 • History of the Alameda County Fair : A review of the history of the Alameda County Fair and its role in generations of summertime fun! • Pleasanton’s Pioneer Cemetery: A look at the many historic families represented at Pioneer Cemetery.